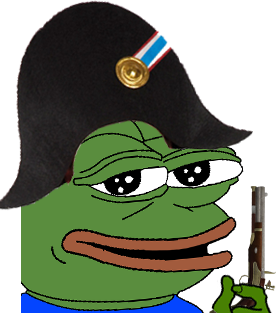 Post your images here with Pepe having fun at the Napoleonic Era. We could use some in discord as emotes! This is madness! Frogs disguised as englishmen! This is special irony and justice -- frogs avenging their fal... eated comrades!